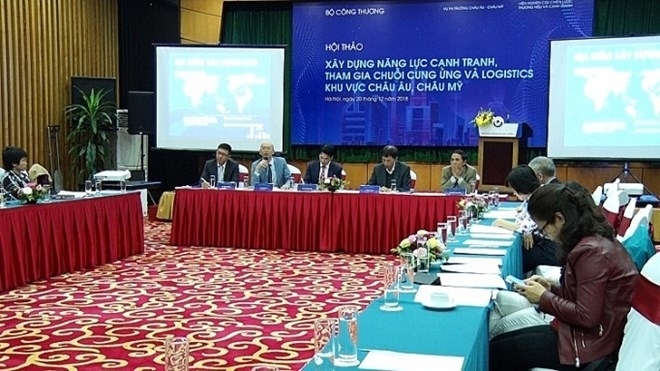 A workshop was held in Hanoi on December 20 to help the Ministry of Industry and Trade implement an action plan to increase the competitiveness of logistics services in Vietnam through 2025, as well as to attract investment to build logistics centers so as to boost the sale of Vietnamese goods in the European and American regions. The event was jointly held by the ministry’s Department of European-American Market and the Institute for Brand and Competitiveness Strategy. 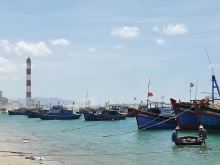 According to the ministry, Vietnam holds a strategic location in the region with a coastline of over 3,000 km - a great advantage for the development of international logistics centers. However, most of the domestic logistics businesses are operating at small scale, so their financial capacity and management ability remain restricted, mainly providing cargo services. Meanwhile, foreign direct investment (FDI) firms in Vietnam often look for integrated logistics services that are not only about freight transport but also go with other added value services such as customs clearance, storage, packaging and distribution. 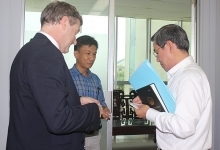 Ta Hoang Linh, head of the department, highlighted factors that could affect the sustainable development of the logistics industry such as poor transport infrastructure system, rigid customs procedures, and lack of connectivity between businesses. He held that it is necessary to take measures to boost the development of logistics centers in the European and American regions. On July 3, 2015, the Prime Minister approved a plan to develop the logistics center system across the country through 2020 with a vision to 2030. Linh suggested supporting logistics centers with various types of transportation such as road, railway, shipping, inland waterway, and air lift. 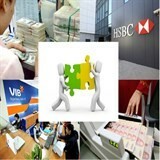 Experts said logistics centers must be managed as a sole and neutral legal agency and ensure trade cooperation. At the same time, it is necessary to have clear and reasonable regulations for the centers’ operation, especially inspection stages, they said.